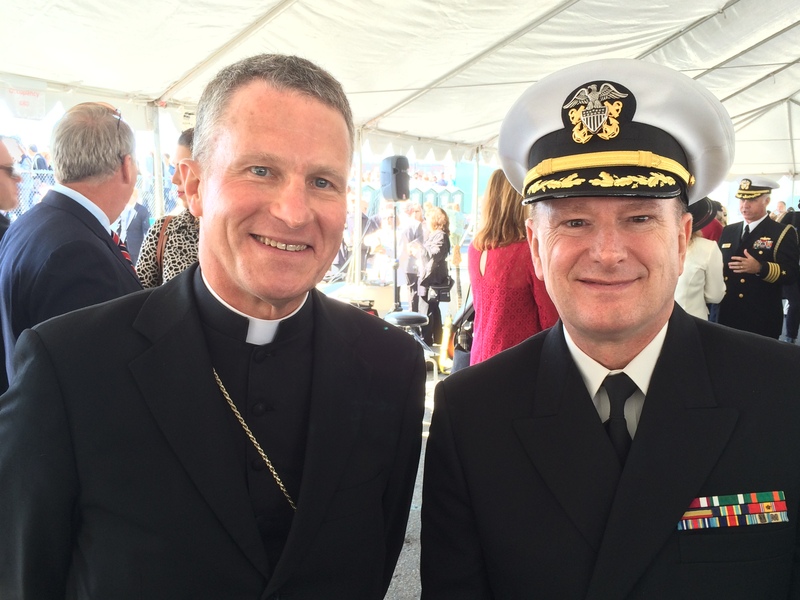 I’ve written before on this blog and in the Catholic Voice about military service and the role I continue to fill as a Navy chaplain. There are fewer and fewer Catholics in the Military Chaplain Corps these days. 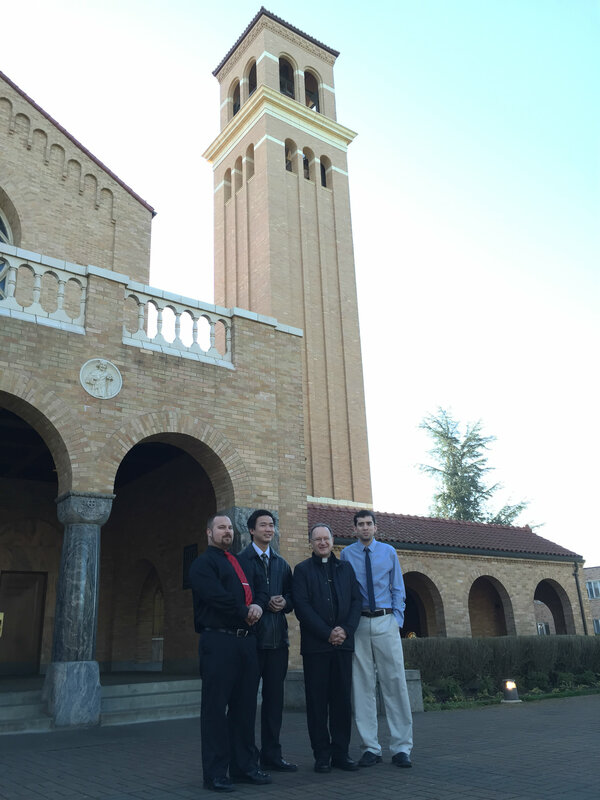 The need has never been greater to attract seminarians to this military ministry to provide pastoral care. I would like to invite all, particularly Veterans in the Diocese of Oakland, to join me and Archbishop Timothy Broglio at a benefit reception next week to raise interest and support for this ministry. The reception is on Tuesday, December 9 at 6PM at Marine’s Memorial Club & Hotel in San Francisco. For more information click here. If you would like to attend please RSVP here or to simply make a donation click here. 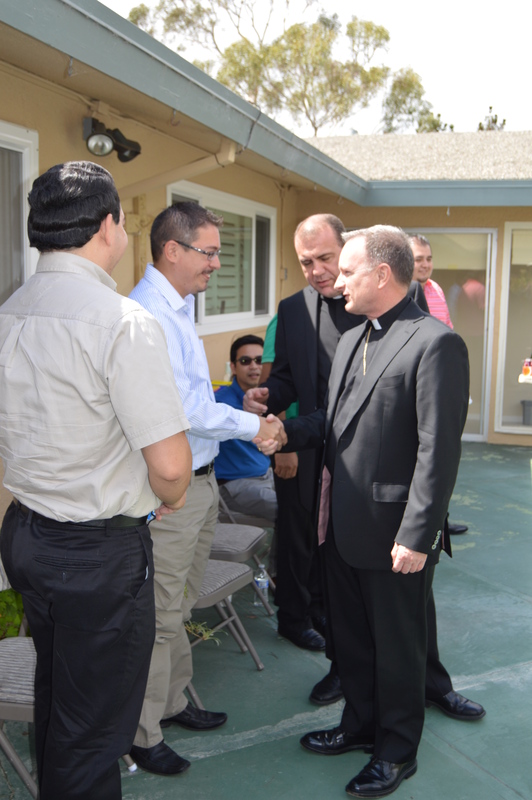 Last Wednesday, we had a very special gathering at St. Paschal’s Parish in Oakland. We honored Fr. Ken Nobrega, who has been working as our Director of Vocations and is now moving back to parish ministry, and we welcomed Fr. Neal Clemens who is our new Director of Vocations. This moment helped me to share with our seminarians some of my thoughts about their formation process. As many of you already know, I was very involved in seminary formation before becoming the Bishop of Oakland. I worked at St. Patrick’s Seminary for eight years and at St. John’s Seminary in Boston for three years; but I also had a long experience of formation myself with the Jesuits: I had twelve years of formation before I got ordained, and they gave me a lot of extra training about my own personal needs. Thus, my thoughts about priestly formation are part from the Jesuits and part diocesan, and I believe that there is no “cookie cutter stamp,” or an automatic process for a man to become a priest: we need to tailor the formation process to the man, to each one, according to the many different backgrounds, strengths, gifts and needs of each one of our candidates. It is my goal that each one of our seminarians will become the best priest each individual can be to serve the needs of our diocese. That is the goal: be as well prepared as possible to become a holy priest. 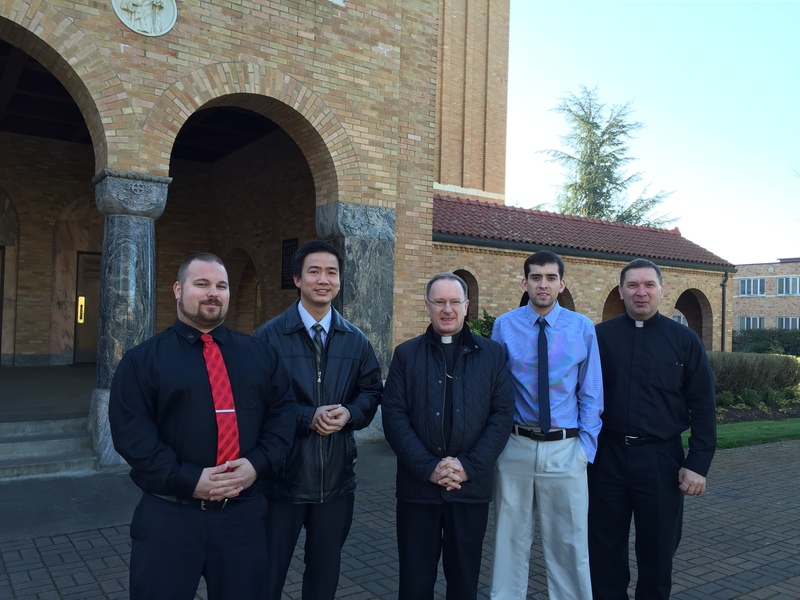 Seminarians with Fr. Neal’s mother. Fr. Neal Clemens, center, and Fr. Paul Schmidt to his left, joined me in prayer with the seminarians.